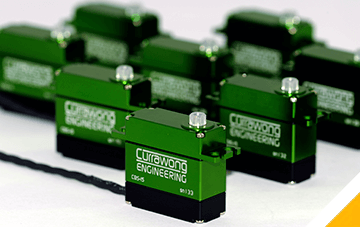 Currawong is a specialist manufacturer of powertrain systems for Unmanned Aerial Vehicles (UAVs). Currawong’s engine system typically includes a fuel injection system, custom made crankcase, throttle body and low noise exhaust. It also offers a specially designed power generation and conditioning system. Currawong’s engine systems have been integrated into eight different airframes (as at June 2017) and almost 1,000 EFI systems have been sold. Currawong’s CAN servos provide a complete closed-loop actuator system for use in UAV applications. The ESC Velocity electronic speed controller provides high power, high reliability brushless motor control for UAV power systems, with a high-speed CAN interface which integrates easily with a wide range of autopilots. Currawong’s ESCs and servos provide distributed feedback and control around the aircraft, allowing for superior sensor integration, system health monitoring and more reliable control. 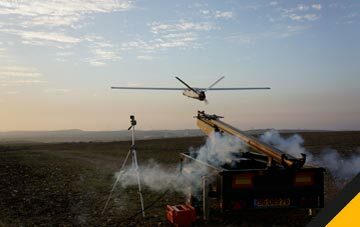 Currawong offers engineering design and machining services to UAV equipment manufacturers and other businesses. It has a well equipped workshop including lathes, mills, grinding machines and a specialised laser welding system. Currawong specialises in the machining of aerospace grade aluminium to very fine tolerances. 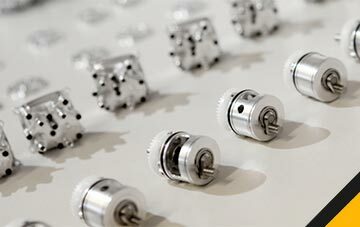 Currawong’s well equipped manufacturing facility is operated by a team of highly skilled and experienced technicians. Currawong offers engineering design and machining services to UAV equipment manufacturers and other businesses. It has a well equipped workshop including lathes, mills, grinding machines and has a specialised laser welding system. Currawong specialises in the machining of aerospace grade aluminium to very fine tolerances (1-2 microns).